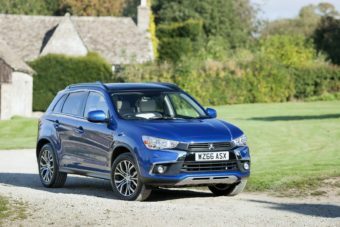 The new Mitsubishi ASX Estate is an affordable large family car that’s got bags of room for all of you, plenty of standard kit – and it doesn’t cost much to run. Indeed, its price tag and running costs are a big part of what’s so appealing about the new ASX. Further highlights include its considerable stature that gives you confidence in poorer conditions, as well as the workhorse nature of its engines. This is a dependable SUV that won’t let you down. As a bonus, its tough-as-a-nut styling is easy on the eye. OSV takes a closer look at what it’s all about with our 2017 Mitsubishi ASX Estate review. The ASX Estate is a workhorse through and through. Highly capable over broken surfaces and speed bumps, it’s not exactly an entertainer. It prefers harsher terrain, where its sizeable frame and big tyres can really get stuck into things. Its steering isn’t as accurate as competitors, and there is a noticeable amount of body lean in bends. That’s due to its soft suspension setup. But while it has its flaws, it means that the car is comfortable on coarser roads. And while it’s a fairly hefty car, it’s not as big as some Mitsubishi’s, and is thus a lot easier to drive. In terms of its engines, a 1.6-litre petrol unit is front-wheel-drive only. It develops up to 115bhp, and can do the 0-62 stretch in 11.5 seconds before maxing out at 114mph. That’s par for the course in this sector where similar sized engines are concerned. We like the engine. It suits the car’s character well, and doesn’t make too much noise. That said, the diesels are actually quieter, and this is because the 1.6-litre petrol engine has to be worked harder. The 1.6-litre diesel power-plant is our top pick. It produces up to 112bhp, and doesn’t need you to work it hard to get the best out of its performance. You can get it with either two or four-wheel-drive, with both variants doing 0-62 around the 11.5 seconds mark. The four-wheel-drive model is ever so slightly slower, however. We think buyers might prefer it because of the extra grip it offers in bad conditions. A 2.2-litre diesel engine sits at the top of the range. It’s difficult to recommend because it’s expensive and yet slower than all the other models. In its favour is an automatic transmission that changes gears fast and assertively. 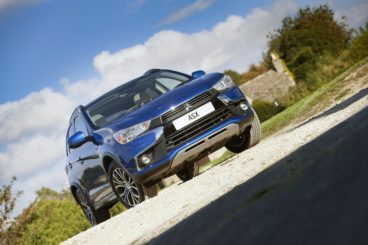 Inside is where the Mitsubishi ASX starts to show its flaws. While the brand has done a good job at smoothing out their 1.6-litre diesel engine, you do still hear enough clatter for it to be intrusive. Moreover, tyre, road and wind noise are all issues on the motorway. Conversely, the soft suspension setup ensures that comfort is good. Over broken roads, scarred surfaces, potholes and speed bumps, the ASX cushions you nicely. We think buyers will appreciate the raised seating position, too. It’s certainly needed when you see how high the bonnet is. The atmosphere is a bit oppressive, thanks to Mitsubishi’s liberal use of dark plastics. You can add tinted glass as an optional extra, but doing so turns the cabin into a black hole. The 4 model get a glass roof, and this brightens things up a bit. The steering wheel is rake and reach adjustable, while the dashboard itself is logically and simply put together. The controls are clear and easy to find, but it’s a shame that the entry-level model misses out on an infotainment screen. While it’s not the prettiest to look at, the interior is certainly practical. Four adults will have plenty of room to get comfortable, while storage spaces include a pair of central cubbies and a big glove compartment. Head and legroom are good throughout, with rear legroom helped by the raised front seats. There is a middle seat for a fifth person, but a hump in the floor is a compromise. The boot, meanwhile, measures 442-litres. Fold the rear seats and you can extend this to 1,193-litres. There are an extra 30-litres of space underneath, while the opening is nice and big. Standard kit is good. The entry-level models get air conditioning, heated folding door mirrors, alloys and electric windows. These alloys, though, are only 16” and seem too small for such a big car. The ASX 3 model adds 18” alloys, as well as a reversing camera, heated front seats and a 6” display. The ASX 4 model gets leather seats, a glass roof, as well as a power-operated driver’s seat. 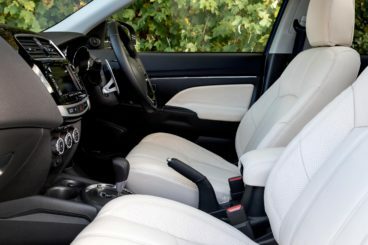 If your budget stretches far enough, the ASX 5 model gets ambient cabin lighting and Nappa leather seats. Where safety is concerned, we have no worries. Euro NCAP awarded it 5/5 for its crash test, while standard safety kit includes traction control, electronic stability control, braking assistance and seven airbags. Prices for the new car start out from £16,200 and rise to £28,900. For more information on our leasing deals, check out our page here. In terms of its running costs, the best-selling 1.6-litre petrol engine is made more attractive by the addition of stop-start tech. This helps to keep costs down, with the engine able to return 48.7mpg while emitting 135g/km of CO2. The 1.6-litre diesel, though, is much more frugal. It returns 61.4mpg, and emits 119g/km of CO2. These numbers are for the front-wheel-drive version only. Opt for the four-wheel-drive variant, and economy takes a tumble. The range-topping 2.2-litre diesel engine, meanwhile, returns 48.7mpg, and emits 152g/km. It doesn’t lead the class when it comes to space, but there is enough room for four people to get comfortable. Standard kit is good across the range, with entry-level models getting the likes of heated folding door mirrors and air conditioning included with the list price. For just over £16,000, the ASX Estate offers good value for money for families who need an affordable large car. The ASX hasn’t been around long, so it doesn’t have the credibility of more established rivals, such as the Nissan Juke. It’s gloomy and feels cheap. Let’s see how the car measures up against its rivals in the comparison section of our 2017 Mitsubishi ASX Estate review. Like the Mitsubishi, one of the new MG GS Estate’s biggest strengths is its low asking price. Starting out from just under £15,000, it’s an affordable family car that’s well-equipped and jolly good fun to drive. Things get a bit jittery at speed, but overall it’s a pleasure on the road. There is only one engine available, and it’s smooth, quiet and keen to rev. There is minimal body lean through bends, and the steering is precise and communicative. It’s also a robust machine that irons out nasty bumps and lumps in the road well. We only really have two criticisms. One is that it doesn’t make a good cruiser because the wheel feels too numb. The second criticism is that engine “choice” is limited to a turbocharged 1.5-litre petrol engine. However, providing you’re not fussed about having a choice (or a diesel), this power plant suits the MG GS Estate well. It develops up to 164bhp, and does 0-62 in 9.6 seconds. It’s quiet in the town and comes paired up with a manual transmission. 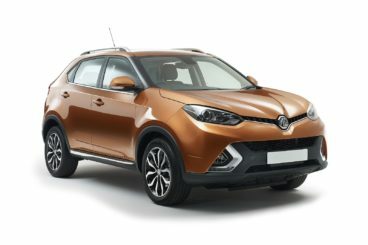 As well as lacking a diesel option, the MG also doesn’t come with four-wheel-drive. That said, we don’t think this should be a deal breaker, as this isn’t an out-and-out off-roader. Moreover, two-wheel-drive will save you money on fuel. How much? The 1.5-litre engine returns 46.3mpg, and costs £140 per year to tax. That’s par for the course in this class. And while there are one or two rivals that are slightly more economical, the MG is one of the fastest. Meanwhile, it sits in insurance group 16. Inside, the MG GS Estate is pleasingly pleasant. There was a worry that such a low asking price would result in a cheap-feeling cabin, but that isn’t the case. It’s well-built, roomy, and while it isn’t glamorous the dashboard is easy on the eye. There is evidence of harder plastics, but you just need to refer back to the asking price. For less than £15,000, you can forgive a few shortcomings. In terms of how practical it is, the car doesn’t do too much wrong. However, its weak point is a 335-litre boot that is considerably smaller than the Mitsubishi. The rear seats can be dropped totally flat at least to free up more space. The car also comes with a space-saver spare wheel, which is not something all its rivals offer. It’s also pleasing that there is no central transmission tunnel, which means the middle seated passenger doesn’t need to feel too cramped. That said, this seat is more uncomfortable than the rest. 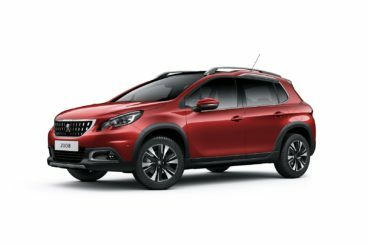 The new Peugeot 2008 is a handsome large family car that’s economical despite its size, and boasts a roomy, top-notch cabin. You can’t add four-wheel-drive to the Peugeot 2008, but we don’t think this should be much of an issue as it’s more-or-less strictly an on-road car, despite its considerable frame and rugged looks. However, some variants do come with Grip Control, a system that lets you have some fun off-road. Moreover, the car has a good amount of grip, and lean is minimal. There aren’t many engines to choose from. A 1.2-litre engine is the sole petrol option, although it does come in three different guises. The 129bhp variant is the quickest, and can complete the 0-62 dash in 9.3 seconds. At the other end of the spectrum, an 80bhp variant takes 13.5 seconds to do 0-62. A 1.6-litre engine is the only diesel offering, but again it’s available with three different power outputs. The mid-range 98bhp is our top pick. It’s got plenty of pulling power to be capable on the motorway and on country roads, and does 0-62 in 11.3 seconds. The 118bhp variant has more muscle, though, and does 0-62 in 9.6 seconds. It also benefits from a smoother 6-speed ‘box. Running costs are good. The petrol engine can return as much as 64.2mpg economy and emits just over 100g/km of CO2. The diesel steals the show, though, returning 76.3mpg at best. All models cost £140 a year to tax. Inside, the cabin is smart, comfy and classy. Ride quality is good, the fit and finish are excellent, and the refreshed dashboard boasts soft materials, a sleek tablet-style screen, and gloss-black detailing. Ambient lighting is standard on more expensive models. On the outside, the Peugeot 2008 looks like a big car. It kinda is, but its dimensions of 1,739mm width and 4,159mm length suggest it’s smaller than it looks. That said, the interior is spacious and the boot measures a decent 410-litres. That’s a bit smaller than the Mitsubishi, but you can fold the rear seats and increase its size to 1,400-litres. If you’re looking for a value-for-money crossover, you don’t need to look much further than this one. It’s affordable, spacious and looks good. However, if your budget stretches a bit further, there are classier, more performative rivals to consider. The new Mitsubishi ASX Estate is decent but could be better.